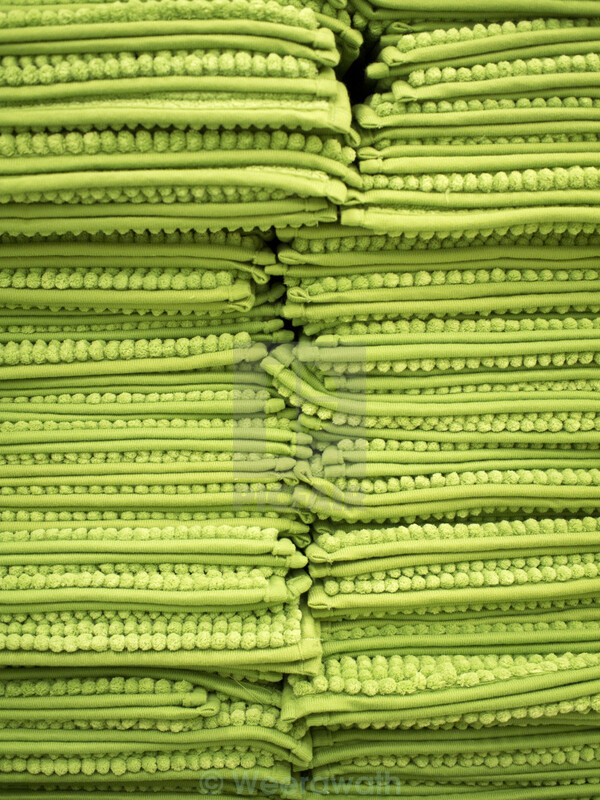 The close up picture of pile ,or stack, of all green rugs displayed in two column filled the whole frame. The result creates attractive look of texture. These are ordinary columns of rugs in retailer shop displayed to public in store or market. The lighting create shade and shadow make dimension to the texture of image.